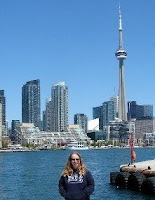 From Goodreads ~ Mike Filey is back again with another installment in the popular Toronto Sketches series. Mike's nostalgic look at the city's past combines legend, personal anecdotes, and photographs to chronicle the life of an ever-changing city. Among the stories in this volume, Mike looks back to the introduction of the "horseless carriage." He laments the loss of great movie houses of the past - the University, Shea's Hippodrome, the Tivoli - and applauds those looking to save the Eglinton Theatre, and he tells the history of the King Edward Hotel as it enters its 100th year. 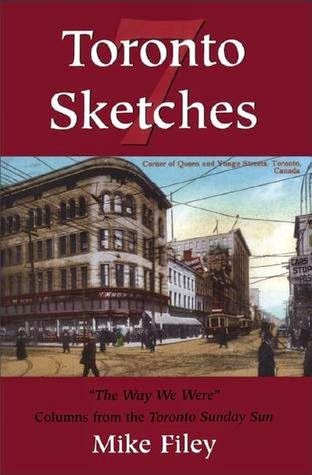 "Toronto Sketches 7" is a valuable addition to the collection of any fan of Toronto history. In this book, we learn about the roundhouse (Steam Whistle Brewing is there now is), the Pier (once a museum, now Amsterdam Brewhouse), Hotel Spadina (a backpackers hostel which recently was closed down and sold), Mount Pleasant Cemetery, old City Hall, how Harvey's got its name, and more. 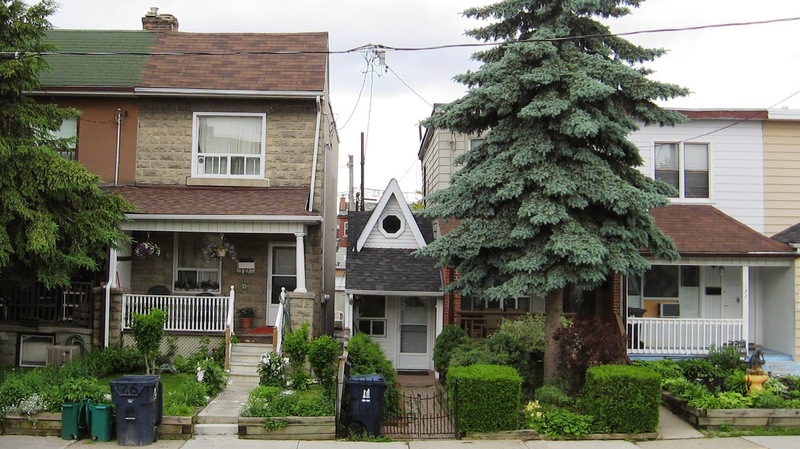 There was an interesting story about the smallest house in Toronto. It's at 128 Day Avenue (in the Rogers Road/Dufferin Street area). It was built in 1912 by contractor Arthur Weeden and is only about 7′ wide, 47′ deep, with a total of less than 300 square feet of living space inside. During the street's development, Lot 128 was conceived as a laneway for the neighbouring home. The curb was never cut by the City to allow vehicular passage from the street. Observing this, Arthur decided that "in order to use the land, I would build on it" (Weeden, Toronto Sun Telegram, 1939). After completing the laneway house, he and his wife lived in it for 20 years. 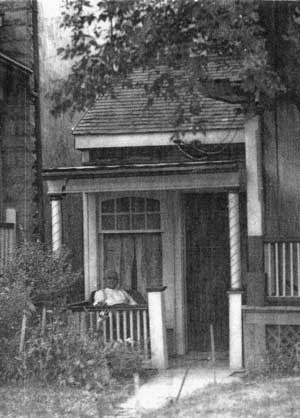 After his wife passed away, Mr. Weeden, 77 years of age at the time of the Sun Telegram article, lived in the house for 6 more years, during which time he tended to the vegetable garden in the rear of the house, growing tomatoes, cabbages, Swiss chard, rhubarb and some flowers. 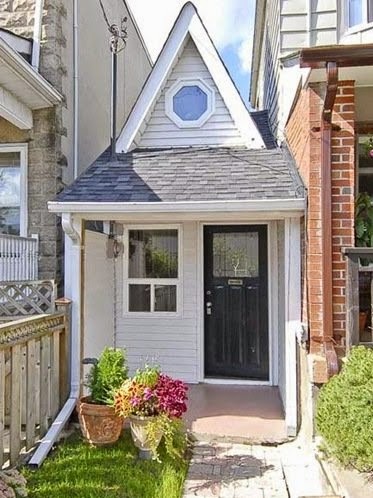 In 2010, it was on the market and the owners asked $180,000. Even though the book was published in 2003, it was still an interesting book because it dealt with many historical events in Toronto. If you live in Toronto or are from Toronto, you should check it out. That sounds like such a neat book!